This is a guest post by Keri Keeling. Keri is a results-driven Customer Success leader with deep experience in helping SaaS vendors build and grow their Customer Success team’s operations and strategies. With over 22 years of experience, she has built Success teams for companies that range in size from start up to publicly-traded. Follow her on Twitter at @M1sskaos. Quarterly Business Reviews (QBRs) are absolute table stakes for any Customer Success strategy. 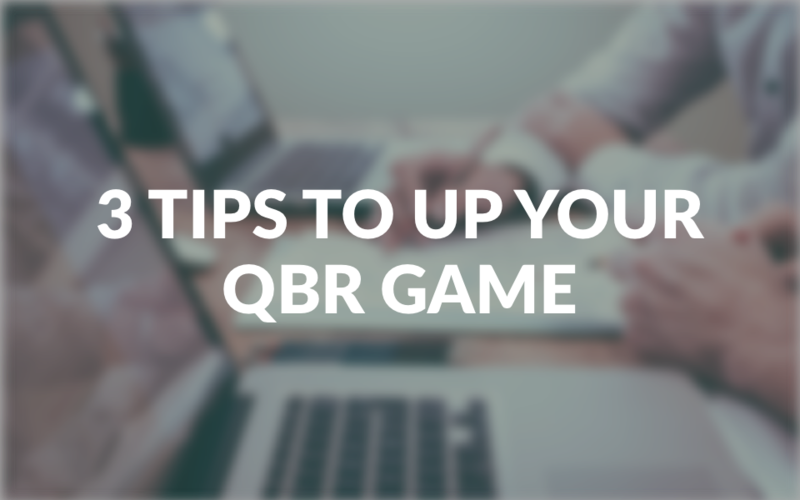 I’ve written before, about the importance of QBRs and over time, the QBR remains the mainstay of assuring the value is delivered to your customers. What’s interesting about the QBR practice is the various ways that they are performed and what they may not include. Customer Success professionals are constantly being challenged to prove the value that their products and services are delivering to their customers. Remember, one of the points of a Quarterly Business Review is to serve as a “report card” to the customer. It’s a means in which you can reinforce your product/service’s value to your customer. It’s also the way to ensure that continuous and improved value extends into the future. Familiarizing yourself with this information will help you to not only save embarrassment for being caught off guard, but will arm you with information in case you have to have a less than desirable conversation with your customer. Additionally, you can leverage this information to set some SMART goals (such as increasing adoption!). As a CSM, you’re a change agent. It may not feel that way at times, but think of yourself as the hub that all of the wheel spokes plug in to. A result of being in the center of, well… EVERYTHING makes you a professional communicator of sorts. Being the center of EVERYTHING can be highly distracting and it can disrupt your flow easily. Which is why Customer Success Managers, have to have impeccable follow through to be successful. Document, document, document. And document some more! Leverage your company’s CRM tool as much as you can. If you find that doesn’t work have a look at Evernote to see if it might meet your needs. Do what you say, say what you’ll do: This seems self explanatory, but it’s easy to get distracted and forget to deliver on something that was promised. Don’t drop the ball on this one, delivery impacts your credibility with your customers.